Given that the equation of a straight line is 4x + 6y – 3 = 0. What is the gradient of the line? Given that the equation of a straight line is y = – 7x + 3. Find the y-intercept of the line? 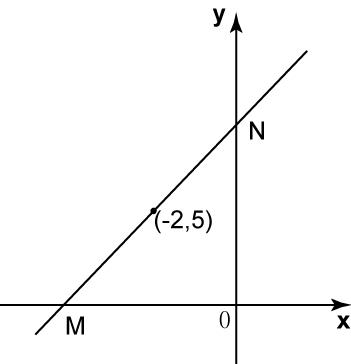 y = mx + c, c is y-intercept of the straight line. Find the equation of the straight line MN if its gradient is equal to 3. Substitute m = 3 and (-2, 5) into y = mx + c.